Luxury 6 Bed 2 storey villa 10 minutes from Disney. This sought after villa has two master suites and boasts 20ft ceilings in formal dining room, living room and family room. 5ft square paintings surround you as you relax, listening to your choice of music from built in 10inch speakers throughout this executive villa. The sound continues with 4 speakers in the pool and Jacuzzi area. Watch T.V. 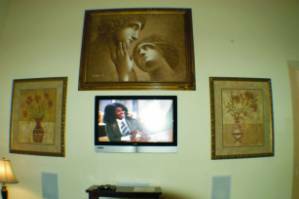 in your own room or on a LCD flat screen wall mounted 5.1 surround system in the family room. Outside of this tranquil space there are a variable bounty of entertainment and attractions..... Please Enjoy. All marble counter tops in baths and kitchen. 10" Speaker system throughout house and in pool area. NEW Games Room now in effect. My family and I stayed at the Vista Cay resort condo for 13 nights in April. We were not disappointed at all. The condo has everything you need and more! 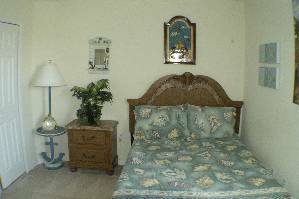 The pool is a 2 second walk, the pool is spacious and the grounds are well cared for. We have been traveling to Florida every year for the past 7 and this was the nicest and largest condo we have stayed in. The location was perfect! Very close to everything nice and handy to have Pub-lix and Walgreen's with in walking distance. My parents enjoyed the Shingle Creek golf course across the street. The rental transactions were smooth and Wayne is pleasant to deal with. I will be recommending this condo to my friends and family. Thanks again! We enjoyed our 5 day stay at the condo. Wayne went out of his way to make sure everything was perfect, making a special trip to bring a coffee maker. 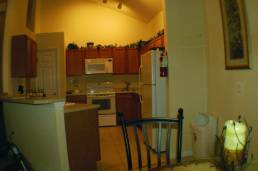 The condo is very roomy and is located with easy access to everything you would need, including a Publix grocery. We have booked again for this coming year. Thank you so much Wayne for making our trip enjoyable and comfortable. We are back home in South Florida and want to thank you for the stay at your Paradise/Vista Cay Condo. The apartment is lovely and the location was excellent for our short trip. Everything inside the property was very comfortable and in absolute working order. 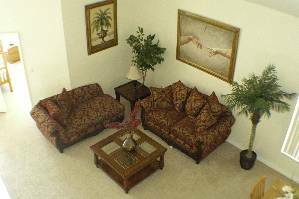 Great and conveniently located place to stay in Orlando! we were delighted with liberty hall. it was clean and very well maintained. our family of twelve stayed. very spacious and pool is a nice feature. we had access to store 5minutes away was publix and cvs and much much more. the game room keep the older kids happy and the little ones played safely there also. it was wonderful to cook good meals. the photo dose not do full justice to this spacious home away from home. the neighborhood is clean and nice. diney is easy access. What awesome accomodations!! The location to Disney was closer than anticipated and only an 8 minute drive which couldn't have been easier. The house was very spacious and cleaner than any home we have rented. We enjoyed the heated pool, game room and peaceful lake view ambiance. It was the perfect Disney vacation for all. I also want to add that Wayne and Jessica were more than available and happy to answer all our questions. Thank YOU! We absolutely loved the home! We were so close to Disney, it took only minutes to get there. The home and pool were very well kept. The home is beautiful and so roomy. We had no problems at all and would recommend this home. If you want a great location, beautiful home , fantastic price and great management personnel there is no need to look anywhere else! We could not have had a better place for our Girl Scout Troop to stay. The house was absolutely perfect as a matter of fact our girls decided to stay and play in the pool one morning instead of going to Universal for the whole day. Wayne and his wife were great and checked to make sure we had everything we needed. 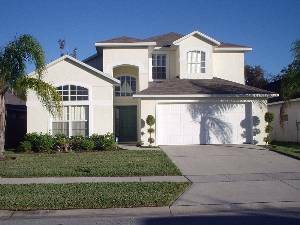 This was by far the absolute best Vacation Rental I have ever had and will stay with no one else when I return to Kissimmee. Thanks againg for helping to make our trip so wonderful. Wow, what a beautiful and comfortable home from home!! It was a sure delight staying at your Liberty Hall home with many amenities at hand to enjoy the kids really loved the new games room, and lots of fun on the new bunk beds. I hope all your future guests are able to benefit from the excitement this home offered us!! Our extended family enjoyed our stay in your home. Everything is as pictured. Our grandchildren,(and parents)enjoyed seperate bedrooms, pool and play room. Unlike a hotel where , when the kids go to bed, you had to shut down for the evening. Also liked being very close to Disney. Didn't have to go on I-4. Would stay again and will reccomment to my friends, but not too many. We stayed in this villa in Feb of 2008 during speedweek. Everyone loved it. The house is very spacious and well decorated. There was more than enough room to accomadate 10 of us. The owners are awsome to deal with. They really take care of you and they make sure everything is perfect. If your looking for a great place to enjoy your holiday, dont look any further. You wont find anything better. Nice big house with lots of rooms. Each year me and my wife book a house to allow other families to come with us. This house has lots of rooms for more then one family. We like the location a lot. It was close to shopping centers like a super Walmart and close the all of the parks. We liked the house so much that we are booking it again. This home is beautiful and clean! 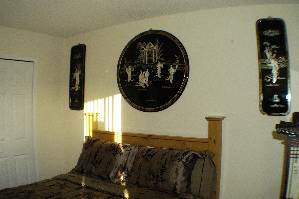 The rooms are spacious and awsomely decorated. We had a wonderful 5 days despite Florida's 19 degree windchill and the coldest 4 days in many years! Being from Michigan, it didn't stop us from seeing all the close attractions available in the area. I will not hesitate to contact Wayne Brown again on our next trip to Florida! THe villa is ery spacious and beautiful. We enjoyed it very much. 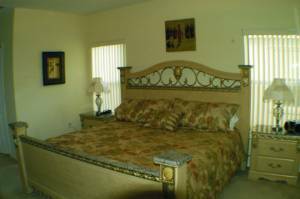 The location is very convienient and close to the major attractions, shopping and restaurant. We will return. The owner does not have high speed intenet access at his home. He does have dial up, which obviously is slow, but is an option! As of February 2007 this home now has high speed broad band internet - wireless!!! Mr. Brown the house was wonderful my family had a graet time thank you so much. Can't wait until next year. Wayne, thank you very much for the rental....the house is beautiful...and very conveinent...i will be renting this house again. It was our trip with the whole family, which may be a ‘once in a life time’ because of the difficulty of family together planning for such a time. So our ‘year of a million dreams’ is now a reality of the past. Memories & pictures for a lifetime. The house was great. Much bigger and nicer than the pictures showed. We had a little trouble with the heat in the pool, but wheen we called, it was corrected right away. I was nervous about booking sight unseen, but after our stay I would highly recommend this to all my friends and family. I would definitely stay there again. Thanks for a wonderful vacation. We just came back from the vacation home and found it exceeded our expectations. The home was much prettier in person than the photos showed. Very close to all of the theme parks and, of course, Wal-Mart!! I have already recommended this home to four friends looking to rent in the next two years. I will definitely stay there again if it is available!! Michelle, thanks for all of your help, you have been wonderful, once again. It is always a pleasure renting from you. Hope to see you back in a few more years!!! The house is very beautiful. I will recommend the house to my friends. Mr Brown was helpful. Only one thing, when we paid for heat pool, it would be pleasant if the pool was heated all day long. Thasnsk for adding to the guest book - for future guests, the pool is heated for a 9 hour period - thru the day and switches off when up to temp - 85 degrees!!!! We enjoyed our stay at your beautiful home immensely. Perfect central location to everything and very comfortable. I would not hesitate to stay there again if it were available. WE HAD A WONDERFUL TIME THE HOME WAS CLEAN AND BEAUTIFUL I WOULD NOT HESITATE TO CALL MR. BROWN AGAIN FOR NEXT YEAR. Excellent accomodation - definitely beats staying at a hotel. We would not hesitate to return next time. 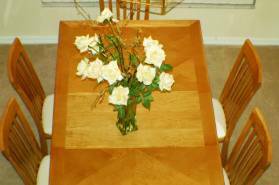 We wanted to say that we enjoyed the rental experience at the home we rented in Liberty Hall. Homeowner Response: Thasnsk for adding to the guest book - for future guests, the pool is heated for a 9 hour period - thru the day and switches off when up to temp - 85 degrees!!!! Homeowner Response: The owner does not have high speed intenet access at his home. He does have dial up, which obviously is slow, but is an option!As of February 2007 this home now has high speed broad band internet - wireless!!! Homeowner Response: Thank you so much for adding the first comment into our guest book. This is a new guest book - no one has yet stayed in the home. We hope a guest will add a comment soon! Deposit: A refundable security/damage deposit of $300 is required. 25% of the rent is required to complete the booking (balance due 45 days in advance). Cancellations and Refunds: If you cancel anytime, payments (less 10%) are refunded if the unit is re-rented.